This is Part 1 in a 4-part series on Sugar and Other Sweeteners. (2) Sugar: How Much Is Too Much? (4) Sugar: Physical Addiction or Emotional Craving? New research shows that sugar is a direct cause of heart disease, diabetes, cancer, and many other diseases, as well as obesity. It’s not that the empty calories in sugar cause obesity, and then obesity indirectly causes these diseases. Sugar causes obesity in ways far more insidious than empty calories, and it causes these diseases directly – not indirectly through obesity. Sugar is a toxin – a "chronic" toxin in that damage takes many exposures. I love sugar as much as anyone, so I didn’t want this to be true, but there’s no doubt that it is. There’s another serious problem with sugar for anyone using the non-diet approach. Sugar seriously interferes with your body’s hunger and satiation signals in multiple ways. When you eat sugar, you never get the "off" signal. How much sugar can you safely eat? I’ll talk about that in Part 2. Artificial sweeteners are not a way around the problem. In Part 3, I’ll describe the evidence that artificial sweeteners cause obesity through a different mechanism. Part 4 will talk about the addictive aspects of sugar – both physical and emotional – and how to deal with it. Table sugar, or "sucrose", is comprised of two simple sugars bonded together: 50% fructose, 50% glucose. Raw sugar has the same composition; there is no benefit. Brown sugar is just sucrose with molasses – same basic composition. Glucose, or "blood sugar", is the sugar that circulates in your blood. Fructose, or "fruit sugar", is found in plants and honey. It’s the fructose in sugar that causes the problem, as you will see. 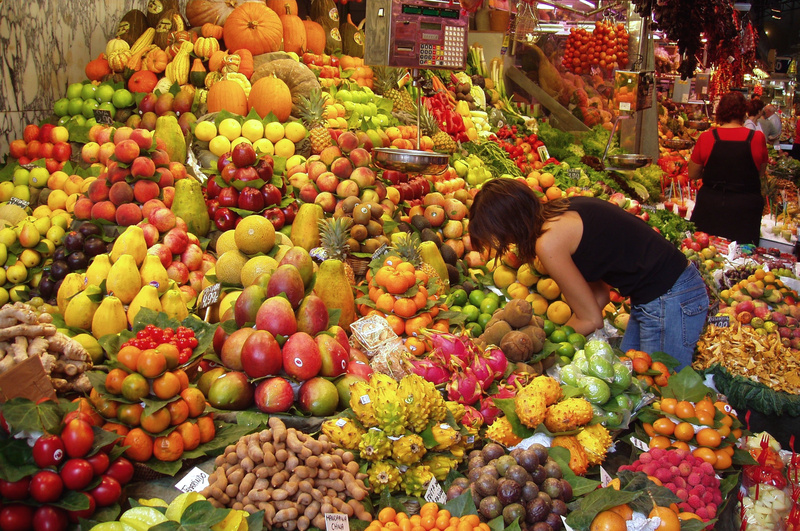 That doesn’t mean you shouldn’t eat whole fruit; whole fruit contains fiber that slows digestion. It does mean that fruit juice poses a danger. Fruit juice, a processed food, is as dangerous to health as soda. Generally it’s added sugar that’s the danger – or juice, because it’s been processed to remove the fiber. High Fructose Corn Syrup (HFCS) has been vilified, but actually it’s only slightly higher in fructose than table sugar: 55% fructose, 45% glucose. The difference is trivial. They’re equally bad for you. The sugar in unsweetened apple juice, however, is 71% fructose – much higher. Plus there is more sugar per ounce in unsweetened apple juice than in Coca Cola. This is true for most other fruit juices, as well. Worse of all is agave syrup (sometimes called "agave nectar", though it’s made from the root of the plant, not the sap). The internet echo chamber says that agave syrup is 55-90% fructose or 70-97% fructose, depending on the brand. 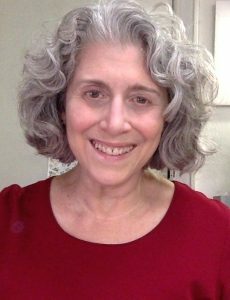 A researcher writing for the Weston Price Foundation actually tested samples from the two manufacturers that make virtually all the agave syrup in the US. He found that agave syrup is 70-85% fructose, with the other 15-30% being glucose. When you eat sweeteners such as sugar, HFCS, honey, or maple syrup, your body breaks them down into their component simple sugars, glucose and fructose. These are metabolized by your body very differently. The difference is why fructose is toxic and glucose is not. My overview of sugar metabolism is largely based on a 2009 lecture called Sugar: The Bitter Truth [VIDEO] by Dr. Robert Lustig, a pediatric endocrinologist. This video has gone viral; it’s been viewed on YouTube more than 2.4 million times (twice by me – it’s rather dense). Here’s a link to the slides from the presentation [PDF] (most of them, anyway). They are hard to read in the video. The video is 1.5 hours long and starts with a friendly and accessible introduction to the history of sugar, HFCS, and their association with disease (it’s worth watching just for that). Then, speaking very quickly, Lustig goes into excruciating detail on the biochemistry of glucose, ethanol, and fructose metabolism, and why fructose does essentially the same damage to the body as alcohol (ethanol) – "beer belly", fatty liver, etc. If you aren’t already versed in biochemistry, it’s hard to follow. However, I found an almost word-for-word summary on the Mercola site. The only part of Mercola’s post that doesn’t come from Lustig’s lecture is the recommendation at the end to eat raw sugar or honey in moderation. Lustig would never say that. (1) The sugar in honey is 55% fructose, the same as HFCS, and (2) Raw and refined sugar are the same food, which Lustig knows. He recommends John Yudkin’s book, Pure, White, and Deadly, in his lecture (the US edition is titled Sweet and Dangerous), and Yudkin goes on and on about this, describing sugar processing in detail. (I was lucky enough to find an affordable copy of Yudkin’s hard-to-find book.) I’ll talk about Lustig’s recommendations for how much sugar is safe in Part 2 of this series. 80% metabolized throughout the body, 20% metabolized in the liver – little strain on liver. Only 0.4% of glucose calories are metabolized in the liver as VLDL (bad cholesterol). Raises blood sugar, causing secretion of insulin, causing secretion of leptin (appetite control hormone) – you get the “I’m full” signal. Suppresses ghrelin, a hormone that gives a feeling of hunger – you stop feeling hungry. 100% metabolized in the liver – big strain on the liver. Produces uric acid as a waste product – excess uric acid causes gout. Uric acid blocks the enzyme that makes nitric oxide, which keeps blood pressure low – causes hypertension. Increases fat synthesis – causes obesity. One study found 30% of fructose was stored as fat, versus 0.5% of glucose. Increases VLDL and triglycerides – risk markers for cardiovascular disease. Transport of VLDL to adipose sites causes insulin resistance (it takes more and more insulin to remove glucose from blood) leading to type 2 diabetes. Insulin resistance causes hyperglycemia, leading to organ and nerve damage. Insulin resistance causes elevated insulin, leading to heart disease and cancer. Raised triglycerides prevent leptin from crossing the blood-brain barrier so you don’t get the “I’m full” signal, plus elevated insulin makes you always feel hungry. Fails to suppress ghrelin – you feel hungry all the time. Basically, fructose causes Metabolic Syndrome, which consists of three of the following: expanding waist, high triglycerides, low HDL, high blood pressure, high fasting glucose. Metabolic syndrome is a risk factor for cardiovascular disease and diabetes. Fructose also interferes with appetite control in multiple ways. When you eat sugar, you can’t trust your hunger signals to tell you when you are hungry and full. This is a huge problem – especially if you are trying to eat according to body wisdom. This damaging scenario is most likely to happen when large amounts of fructose hit the liver quickly. This happens with any food with added sugars, but it happens most quickly when you take sugar in liquid form as a sweetened beverage, or when you eat sweet foods on an empty stomach. Lustig says that exercise can help, not because it burns off calories, but because it speeds up your metabolism. This can allow you to burn off the fructose before it gets to the fat creation part of the metabolic process. But presumably, there are limits – begging the question, how much is safe to eat? This is the topic of Part 2. Cancer researchers have discovered that elevated insulin, along with a related hormone called "insulin-like growth factor", promote tumor growth and may even cause cancer. Lewis Cantley, a researcher from Harvard, says that perhaps 80% of all human cancers are driven by high levels of insulin. Craig Thompson, a researcher at Memorial Sloan-Kettering Cancer Center in New York, thinks that many pre-cancerous cells would not become malignant tumors if not driven by insulin to take up and metabolize more blood sugar. Both Thompson and Cantley told Gary Taubes that they eat as little sugar as possible due to the cancer risk. Cantley said the same thing to 60 Minutes’ Sanjay Gupta: He advised that people not eat sugar or at least keep it to a minimum, adding, "In fact, I live my life that way. I rarely eat sugar." Yudkin mentions other diseases associated with sugar, based on his own research. For example, eating a lot of sugar appears to cause gastric and duodenal ulcers. He found both epidemiological and experimental evidence. He put young men on a high sugar diet for two weeks, then got them to swallow a gastric tube first thing in the morning. He found that their gastric juices were 20% more acidic and their enzyme activity increased three-fold, both at rest and after a mild meal. This is what causes ulcers. He also did experiments that confirmed that low-sugar diets improved the symptoms of ulcer patients. Yudkin found evidence for virtually all of the now-verified associations between sugar and disease – heart disease, gout, cancer, and more. Unfortunately no one listened to him back in 1972. The country went with Ancel Keys and his competing "saturated fat" hypothesis as the cause of heart disease. We reduced saturated fats and increased carbohydrates, and heart disease and obesity skyrocketed. There’s no doubt now that sugar causes heart disease, cancer, obesity, and more. But do we have to stop eating it entirely to stay healthy and slim? How much sugar is safe to eat, and how much is too much? This is the question I’ll address in Part 2. But doesn’t restricting sugar based on this information make you want it even more? Annie – I’m going to address physical addiction and emotional cravings in Part 4. I know that’s a long time to wait, but I wanted to lay out the health facts first and write about “what to do about it” at the end. That’s where I’ll talk about strategy. Thanks for this Sheryl. I thought your comment at the end about the ‘competing theories’ and the fact that we with the saturated fats theory instead…think of how much better off we’d be now if we hadn’t gone down the wrong path. What worries me though is sugar that’s been added to prepared foods. I’ll need to take care when shopping from now on. Very thought-provoking and interesting! Sugar in all its variations seems to be in almost everything processed. I guess this is further incentive to eat things as close to the source as possible! It reinforces my experience and what I have come to believe in regard to sugar. I do appreciate that you have addressed this issue. I find other non-diet approaches do not look at this subject as in depth, or deny that sugar does in fact has the ability to over-ride a person’s hunger and satiation signals. Over all they chalk it up to all emotional hurdles and state there is no such thing as a physical reaction/addiction to sugar. This is a great blog post. Thank you for all this information. I struggle with how to fit sugar into my life knowing how toxic it really is but also having experienced how much I miss it when I give it up. I gave it up last year for about 8 months – except for the little bits that sneak its way into salad dressing, etc. – and felt amazingly well, both physically and mentally. For those 8 months I didn’t have ONE symptom of PMS which usually plagues me for 2 weeks every cycle. I also have an overgrowth of yeast (candida, I think it’s called?) and that completely disappeared when I went off sugar. Looking forward to Parts 2, 3, and 4, Sheryl. Thank you! Fascinating Sheryl! I’m waiting for the next installments. Here’s what I wonder, though….If glucose is relatively benign, why don’t we use it as a sweetener? Is it unavailable? Or not very sweet? This is powerful. I really appreciate how you’ve taken a complex subject and made it accessible. I do eat sweets pretty regularly in very small amounts (a piece of chocolate usually) and look forward to reading Part II to see if that’s a habit I should change. Otherwise, I try for whole foods as much as possible. It’s so funny that you posted this just as I have been coming to grips with how I feel about sugar. I’ve done my own “research” on sugar with my body over the 6 years I’ve been in NE, and I now feel clear that most of the time, sugar isn’t worth eating for me. I’ve been through autoimmune disease and then kidney disease, both of which reversed when I quit sugar, processed food and refined grains. (Oddly enough, I was paleo at one point and vegan at another, but I think the commonality there is no processed or sweetened foods.) But beyond that, my gut function and mood and hunger levels all react strongly to sugar and processed grains. For me, even whole grains are easy to overdo sometimes, so I often have to give myself a little push to have more broccoli instead of more bread but I’m always glad afterwards. It’s taken me this long to loosen the emotional ties to certain foods that the diet mentality and OA food plans made verboten for so long. I’m over them, I can have them if I want them, but I’m over 40 and I only get one body! 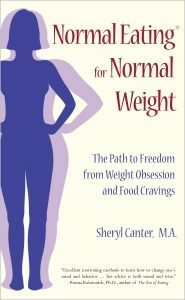 Thanks Sheryl, great blog just at a time in my life when I have let go of sugar (again) and grains. I feel so much better of these foods – my energy levels are better, my stamina is better, my bowel works really well (sorry about to much info – but I have been chronically constipated all my life) and the most interesting discovery i made within days of stopping was that I now know, very clearly, when I am full and have no pull to continue eating past full. Your blog affirmed why this is so. I found that not eating any grains or sugars (including fruit) for the first two weeks stopped all my cravings for sweet foods. I read that this is because this causes our insulin levels to drop to normal. So keeping to basically a paleo diet has been easy – and I am not 100% with it – I try to listen to my body’s needs. The gift is now I can hear and easily respond to them! The trick is how you go about it – how you think about nutrition and incorporate it into your life. Jen – No one said you have to give up sugar completely. In this first post, I’m giving information about the health effects of excessive sugar. In Part 2, I’ll talk about how much is too much. But even that is not a prescription for how much to eat, unless you choose to eat for health. No one says you have to. It’s YOUR life. It’s available – diabetics carry glucose tablets in case of insulin overdose. And it’s plenty sweet. It’s probably expensive, but that’s not why it’s not a solution. If you ate foods sweetened with glucose in the usual amounts, you’d still be at elevated risk for heart disease, diabetes, obesity, and cancer. The mechanism would just be different. The problem is insulin in the blood stream. Fructose causes elevated insulin in the blood stream through insulin resistance. Using glucose alone as a sweetener would cause it directly, by raising your blood sugar. The pancreas would be forced to constantly pump out insulin to bring the glucose in your blood back down to safe levels. If you suffer “pancreatic exhaustion” (your pancreas becomes unable to keep up), you get diabetes. Then your elevated glucose (hyperglycemia) puts you at risk of organ and nerve damage. If you don’t get diabetes, the elevated insulin levels put you at risk of heart disease and cancer. There’s no way around the danger to health – not even with artificial sweeteners. (I’ll talk about what happens with artificial sweeteners in Part 3.) To avoid the risk, sweets need to be mainly in the form of fresh fruit. Refined sweets – if you don’t want to risk your health – need to be a rare treat. I’ll describe “how rare” in Part 2. On the plus side, I’ve found that when you eat sugar rarely, you don’t want it. (I sharply reduced my sugar intake after writing this series.) This is true even though I’m still eating starch (starch digests to glucose). Just because something is unhealthy doesn’t mean you “shouldn’t” eat it. Does that sound weird? Not every food decision is made on the basis of health and what will extend life – or should be. Not every life decision is made on the basis of what will extend life. Quality of life matters, too. If all we cared about was living as long as possible, we’d live in a sterile bubble and never get in a car or do anything. People take risks to make life worth living. You may decide that eating some amount of sugar is worth the risk. I’m just saying, take the risk with your eyes open. I’m giving you the facts in this series – you evaluate for yourself. Here is my own personal calculation: As I wrote in my book, I’ve had ulcerative colitis for many years, so I’m at high risk of colon cancer. I sharply curtailed my sugar intake after writing this series because I fear cancer. I watched my mother die of cancer, and I’d rather die any other way. If I can significantly reduce my cancer risk by not eating sugar, I’m in. It’s not worth it to me. I cut out juice and eat sweeteners (sugar, honey, maple syrup) on rare occasion now. I especially watch packaged food. I won’t buy bread or mayonnaise with sugar in it. If I eat sugar, I want a good payoff for it. A week ago I went out with friends and had a dark chocolate pudding for dessert – first sugar in 3 weeks. It was delicious – that was worth it. But in general, it’s not worth it. xanadu and Bridge – You both mentioned grains… Starches (grains, root veggies) are something else that I will address in Part 2, but here’s a preview. Starches digest to glucose, not fructose, and so as long as they are whole foods (contain the fiber), they are not dangerous in the way that sugar is. It’s a mistake to lump these two types of carbohydrates together. None of what I said in this article about sugar applies to grains, especially not whole grains. There are issues with grain from a paleo standpoint, but it’s a completely different issue. That’s about lectins and anti-nutrients, not Metabolic Syndrome. 7-part series by UCTV Prime, explaining the science of how sugar and High Fructose Corn Syrup (HFCS) are addictive, toxic and fueling the global obesity epidemic. It’s not a fact that sugar causes cancer, and Lustig does not become an absolute authority by virtue of his lecture going viral. It’s not the way medical science works, or should work: web virality implies popularity, not truth. Does your physician warn you to cut back on sugar if you have other risk factors for cancer? No, because that’s not the standard of care. Once you’ve had cancer, does your oncologist recommend you avoid sugar to avoid a recurrence? No, because there is no consensus judgement among medical scientists that consumption of sugar raises the likelihood of your cancer metasticizing. In mentioning only cancer, of the many ailments you link to sugar, I don’t mean to play favorites. It’s just that I’m more familiar with that issue, having had cancer myself, and having read umpteen web discussions of this view that sugar causes it. It’s not that there’s no evidence at all linking sugar and cancer — just not enough to convince most scientists that it is an actual fact that by reducing your sugar intake you will lower your chance of getting cancer. I have a lot of respect for modern evidence-based medicine, and that’s not what you’re getting listening to the likes of Lustig and Mercola. By the way, Sheryl, I apologize if you’ve already discussed this, but it surely sounds like you should have a colonoscopy, if you haven’t yet done that. With two important risk factors for colorectal cancer (UC and a close relative with colon cancer), even if you haven’t reached the standard screening age of 50, though I guess you have, I think you should still get one. I’ve had 4 colonoscopies — it’s as easy as falling off a log. Hi Greg. Thanks for your concern. I don’t have any relatives who’ve had colon cancer, but I’ve had plenty with other types of cancers, and you are correct that I’m at very high risk because of my UC, especially since it’s universal (affects the whole bowel) and I’ve had it so long. The risk goes up by one percentage point per year. I am under a doctor’s care, and I’ve gotten very frequent colonoscopies since long before the age of 50 – at least once a year, sometimes twice a year. Unfortunately, for me they are not “like falling off a log”. They are very painful. But for most people, they are no big deal, and everyone should get them regularly after the age of 50. Colon cancer is highly treatable if caught early, and very fatal if not. I would rather die of old age. Just saw you posted twice. I don’t you think read my article carefully. Actually, Lustig made no mention at all of sugar causing cancer. That came from other research. And as for your question, does my doctor recommend that I cut down on sugar? Funny you should ask. My doctor is associated with Mt. Sinai Hospital in NYC – the center of the world for inflammatory bowel disease. I discussed this with him, and he told me that he himself did some of the research that found an association between sugar and colon cancer, and published it in peer-reviewed journals. This is cutting edge research, and just because it’s not yet mainstream doesn’t mean it’s not real. If I were you – especially since you’ve had cancer – I’d cut down on sugar. Read the research, follow the links. I document everything I say. and what is the role of enzymes when we eat sugar? can u please writte what are the effects of sugar and inflammation?